Yesterday I spent the morning out and about with my little girl and a friend, stopping for breakfast and wandering the historic center of town on the first beautiful day we’ve had in weeks. As toddlers do, Maddalena ran from object to object exclaiming “Guarda!” (“Look!”) or “Wow!” for every little thing. My friend commented how wonderful it would be if we adults spent just one day like that, finding wonder in every little thing. So we tried it. We ran around for a few minutes pointing at garbage cans and sign posts and people and dog poop, smiling big goofy smiles and exclaiming “Guarda!” And of course the world was suddenly much more entertaining, despite any looks askance from passersby. Maddalena thought this was a good game indeed. Later, I watched from afar as she ambled in front of me, arms outstretched, smiling up at the sky, zigzagging like a drunken bee, and I thought, that’s it. Toddlers are little drunken bees, experiencing the world from their who-cares haze, and we should all take a lesson in how to buzz through our days. From the looks of the later picture, though, it seems like Charlie could have used a bit more wine. Granted, it’s a bit of a downer considering it’s from his treatise on decadence, Les Fleurs du Mal (Flowers of Evil), and it most definitely has nothing to do with the joy and innocence of toddlerhood (I mean, look at the depressing picture I chose to illustrate it). Nonetheless, these are the connections my brain made, and so today I am looking at it from the perspective of a drunken bee, choosing to see the positive in it, and spending some time frolicking. Won’t you join me? 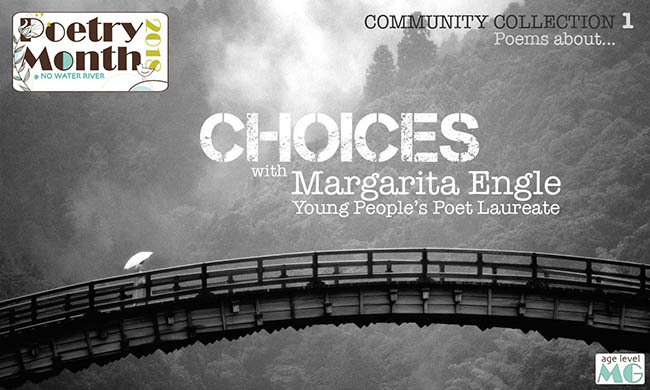 I hope you will join me this April for a month-long poetry extravaganza! This year my project — with your help! — is to create daily “community collections” of poems on a given theme. I have lined up 31 incredible poets and verse novelists who will be bringing you a poem and a writing prompt every day of the month (+1). I will then update each post with *your* poetic responses to complete our themed collection. Keep your eyes peeled for the “calendar of poets” coming your way near the end of March! 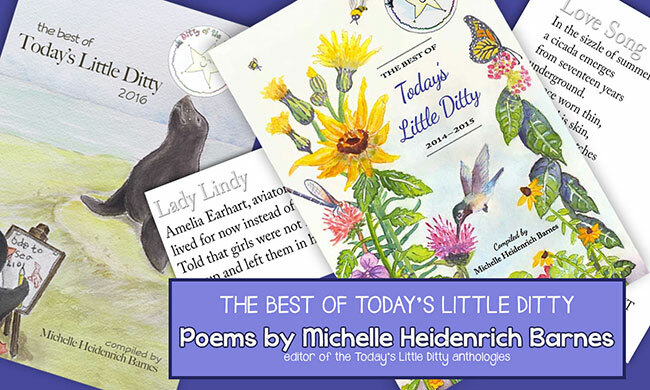 Frolic on over to Michelle’s place at Today’s Little Ditty to drink up some more Poetry Friday elixir. Post content © 2018 Renée M. LaTulippe. All rights reserved. Thanks for this Baudelaire, Renée. Though his parents may be disappointed, I’m certainly glad he took up the literary pen. And this poem is going right into my notebook. 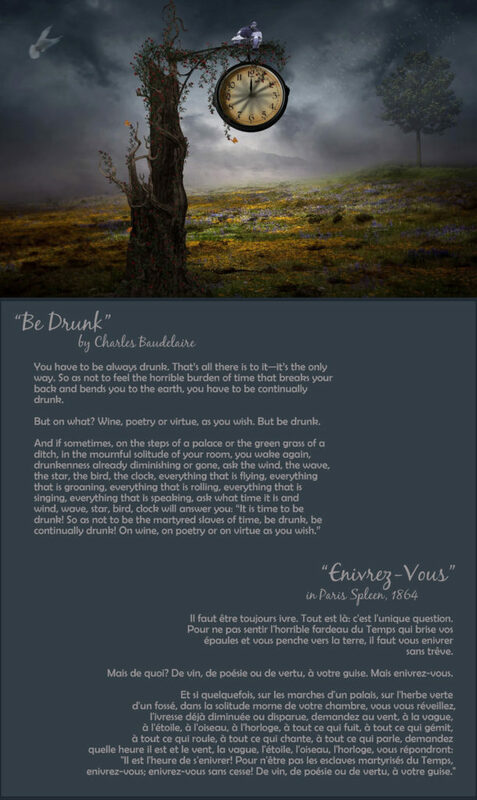 Love your positive spin on Baudelaire’s poem, Renée! I can just see you all running around like drunken bees taking in all the wonders to be found… even in the humblest pile of poo. It IS a beautiful poem… and, as always, a beautiful presentation. (Great video find, as well.) Looking forward to your NPM extravaganza! 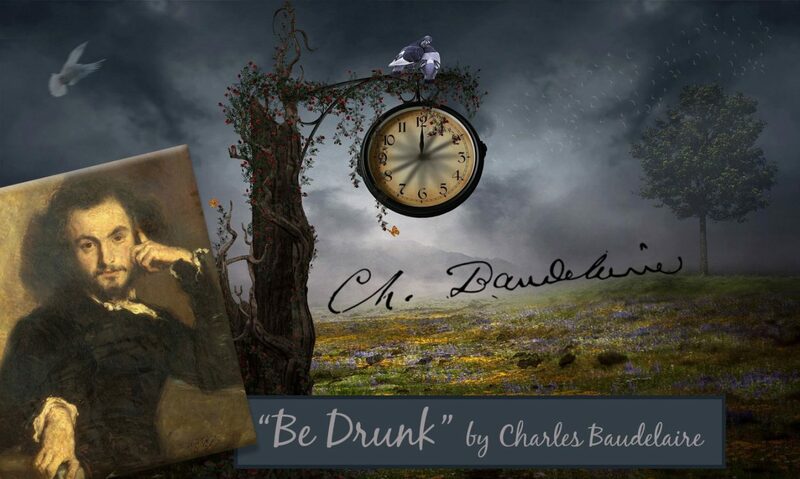 Love your drunken bees, your recovery of wonder and your embracing of Baudelaire’s delirium. We should all be drunk on possibility. On tomorrow’s promise. On each taste of nectar. I will never watch a toddler in the same way again, Renee, but it is an apt description, and I’m glad to hear your advice that you and your friend took also, “a lesson in how to buzz through our days. Your April challenge sounds delightful! I love reading this post after seeing the pictures of Maddalena on FB! 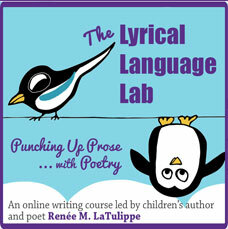 Sounds like you have a fabulous Poetry Month project in the works! I hope I have a little energy left over from my to participate in yours!! I snuck away from my work to read “just one more post” and happened upon your delightful one. 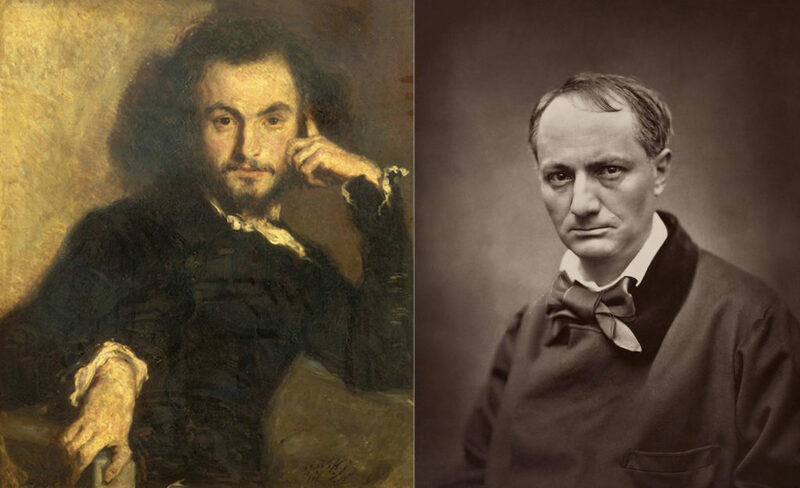 Drunken bee toddlers, wonder-buzzing adults and Baudelaire. Wow! What a treat! Your April challenge sounds wonderful as well, and I’ll definitely be staying tuned for further details! You’re such a great mom… I do prefer the descriptions of Maddalena to the Baudelaire poem, but let’s all be drunk with poetry and the wonder of ‘insignificant’ things! I thing everyone needs a “toddler day”. I’m also always amazed at how they can stare at someone they find interesting – no qualms about it! Drunken bees… we should all be.